Belmont Chrysler Service and Repair - 5 Star Auto Service Inc. If your Chrysler needs auto repair, look no further than the auto mechanics at 5 Star Auto Service in Belmont. We make sure to bestow personable service on each customer that walks through our doors, and even though we offer traditional, family-oriented customer service, we stay on the cutting-edge of the automotive repair industry. 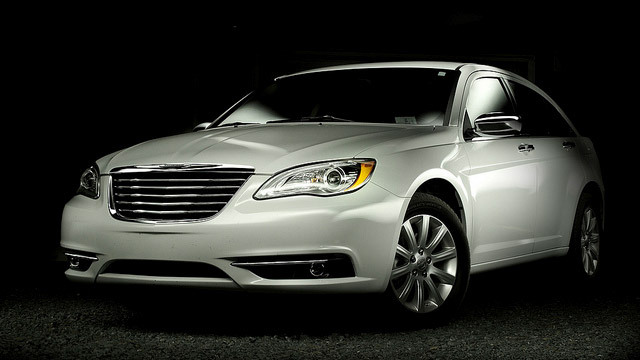 The next time your Chrysler needs service, our team would be happy to help. And while our ASE-Certified or Master-Certified technicians are performing a bumper-to-bumper safety check, you can walk to Starbucks and grab a vanilla latte. If you prefer, you can rest and relax in our waiting room, or we give you a ride back to your home or office in our shuttle. “I was very satisfied with the service I received. I bring the car in and walk to Starbucks and when I returned the car was ready, as usual. Thank you very much.” -- Susan L.
For an auto repair shop that is the embodiment of the American Dream, hard work and determination, turn to 5 Star Auto Service. Bring your vehicle to our auto technicians and we will go that extra mile to properly service and repair your car, even performing a safety check and offering you shuttle service within the vicinity of Belmont. Schedule an appointment online for Chrysler service, or stop by our shop at 1444 El Camino Real, Belmont, CA 94002.